They'll also get some demons to hunt, before the expansion. 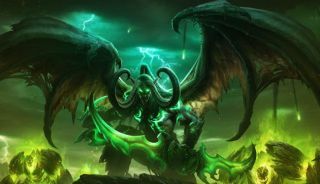 World of Warcraft's Legion expansion arrives on August 30, but its horde of demons will be trickling into Blizzard's MMO before then. That trickling will begin on August 9, the developer has announced, and on the same date certain players will be able to make Demon Hunters in an effort to combat them. You'll need to pre-order Legion to play around with Demon Hunters in advance of the expansion—oh, and you'll also need to have a level 70 character on the same realm you're looking to play on. The new class will start at level 98. Blizzard is really rolling out the red carpet for that demon invasion, laying a pre-expansion patch, making some short cartoons for the occasion, and now whacking in Demon Hunters, not to mention demons, early.